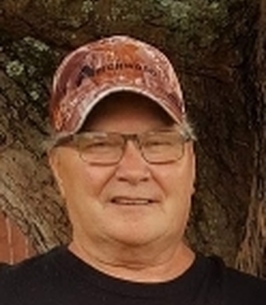 Roy Lee Litton, 65, of New Martinsville, WV passed away Saturday, September 29, 2018 while doing something he enjoyed doing, helping family and friends. Roy was born December 8, 1952 in New Martinsville, WV; son of the late Charles and Mae (Dunkin) Litton. He was a retired laborer for Wheeling Labor’s Local 1149, enjoyed fishing, hunting, cutting fire wood, being outdoors and helping his family and friends and a member of the Faith Fellowship Church in Reader, WV. In addition to his parents, Roy was preceded in death by son, Aaron Lee Litton; brother, Harry Litton and two grandchildren, Connie Litton and Weston Lee Barnes. Surviving are two sons, Roy Litton, II of New Martinsville, WV and Jason Litton of Paden City, WV; three daughters, Stacy Johnson of Paden City, WV, Chasity (Justin) Miller of New Martinsville, WV and Michelle Litton of New Matamoras, OH; brother, Charlie Litton of Reader, WV; seven sisters, Dolly (Gail) Harrison of Proctor, WV, Marcella Harrison of Reader, WV, Jan Kocher of New Martinsville, WV, Patty Litton of WV, Donna Litton of St. Clairsville, OH, Midge Litton of Morgantown, WV and Shirley Litton of California; eight grandchildren; two great grandchildren; two fur babies, Harley and Roxy and several nieces, nephews and cousins. Friends received 2-4 and 6-8 p.m., Tuesday, October 2, 2018 at the Jarvis-Williams Funeral Home, 1224 S Bridge St., New Martinsville, WV, where service will be held 11 a.m., Wednesday, October 3, 2018 with Pastor David Kelly officiating. Burial to follow in Northview Cemetery in New Martinsville, WV. Memorial contributions may be made, in Roy’s name, to Wetzel County Animal Shelter, 399 Mollahan Dr., New Martinsville, WV 26155. To send flowers to the family of Roy Lee Litton, please visit our Heartfelt Sympathies Store. Additional Information	Memorial contributions may be made, in Roy’s name, to Wetzel County Animal Shelter, 399 Mollahan Dr., New Martinsville, WV 26155. Please accept my condolences for the passing of your dear loved one. When someone we love dies, the heartache and grief can be great. I hope that you can be comforted knowing that God cares for you and sees your pain. (1 Peter 5:7). “He is close to the brokenhearted and He saves those who are crushed in spirit. (Psalms 34:18). May you find comfort and relief during this grievous time, as you cherish the precious memories of Roy. So sorry to hear prayers for the family, remember him from many years ago. God be with him.